Saw Blade, Saw Blade Products, Saw Blade Manufacturers, Saw Blade Suppliers and Exporters - Dan Yang Three Win Industry Supply Co.,Ltd. - Frozen sintered segment with 6-8mm cutting kerf for high efficiency to cut slot in the wall of concrete, brick, sandstone, etc. - Dry and Wet cutting both available. - Cutting and Grinding function can be realized in angle grinder machine. It can also be fixed in wall chaser machine to cut slots. 1, Frozen sintered segment with 6-8mm cutting kerf for high efficiency to cut slot in the wall of concrete, brick, sandstone, etc. 2, Dry and Wet cutting both available. 3, Cutting and Grinding function can be realized in angle grinder machine. It can also be fixed in wall chaser machine to cut slots. - Hot pressed sintered segment with 6-8mm cutting kerf for high efficiency to cut slot in the wall of concrete, brick, sandstone, etc. - To be fixed in wall chaser machine to cut slots. 1, Hot pressed sintered segment with 6-8mm cutting kerf for high efficiency to cut slot in the wall of concrete, brick, sandstone, etc. 3, To be fixed in wall chaser machine to cut slots. 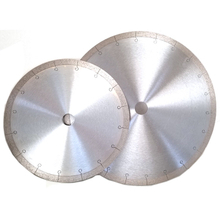 - Hot pressed sintered diamond saw blade with extreme thin kerf for speedy cutting various tile, ceramics, porcelains. - Wet cutting is recommended. J slot designs release big heatment while cutting to keep steel core cooling and best balance performance. - For industrial appications to long time cutting without chipping problem on the object edges. - Special diamond formulation design is for very rough and hard porcelain, ceramic , tile wet cutting, especiall for those various tile cutting table saw usage. 1, Hot pressed sintered diamond saw blade with extreme thin kerf for speedy cutting various tile, ceramics, porcelains. 2, Wet cutting is recommended. J slot designs release big heatment while cutting to keep steel core cooling and best balance performance. 3, For industrial appications to long time cutting without chipping problem on the object edges. 4, Special diamond formulation design is for very rough and hard porcelain, ceramic , tile wet cutting, especiall for those various tile cutting table saw usage. 3881.3000701 300 12" 7 25.4-20mm/1"-3/4"
3881.3001001 300 12" 10 25.4-20mm/1"-3/4"
3881.3500701 350 14“ 7 25.4-20mm/1"-3/4"
3881.3501001 350 14” 10 25.4-20mm/1"-3/4"
- Frozen sintered diamoind saw blade, Segment Turbo style for speedy dry and wet cutting. - For general purposes to cut various concrete, brick, granite, marble, rock stone, etc. 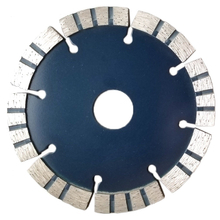 1, Frozen sintered diamoind saw blade, Segment Turbo style for speedy dry and wet cutting. 2, For general purposes to cut various concrete, brick, granite, marble, rock stone, etc. 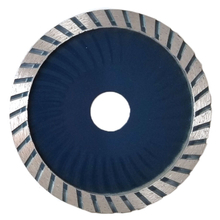 - Frozen sintered diamoind saw blade, Deep Turbo style for dry and wet cutting. 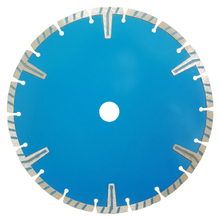 1, Frozen sintered diamoind saw blade, Deep Turbo style for dry and wet cutting. - Frozen sintered diamoind saw blade, Turbo style for dry and wet cutting. 1, Frozen sintered diamoind saw blade, Turbo style for dry and wet cutting. 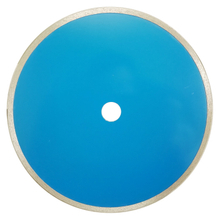 - Frozen sintered diamoind saw blade, Continuous Rim style for wet cutting. 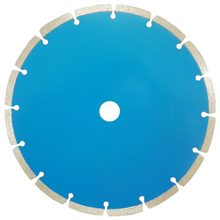 1, Frozen sintered diamoind saw blade, Continuous Rim style for wet cutting. 2, For general purposes to cut various tile, ceramic, porcelain, etc. 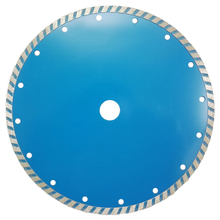 - Frozen sintered diamoind saw blade, Segment style for dry and wet cutting. 1, Frozen sintered diamoind saw blade, Segment style for dry and wet cutting.